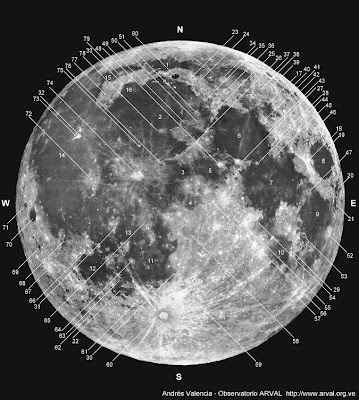 A map of where Apollo 11 astronauts walked, superimposed onto a baseball diamond and soccer field to show distance. 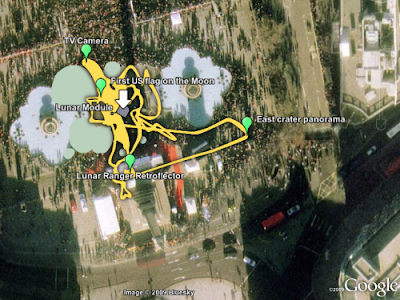 Paul Mison also pointed us to an overlay of Trafalgar Square by New Scientist. 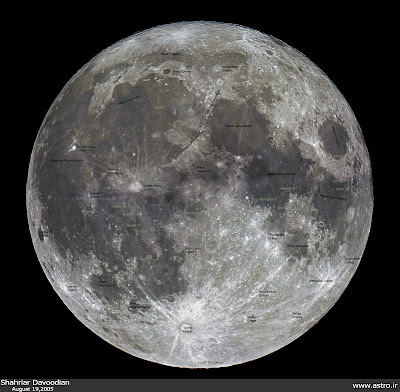 Photos tagged "full moon" taken during the past year, positioned on a graph by date & time. 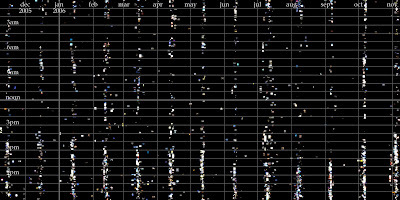 The vertical clusters correspond to the cycle of the full moon - about 28 days apart. 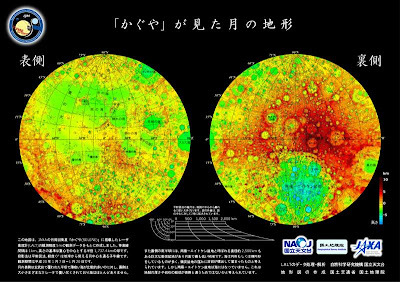 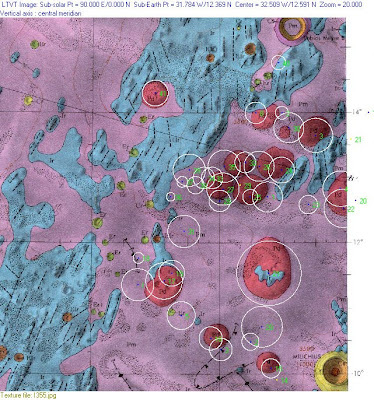 This is a map of the north/south pole of the Moon that shows hydrogen signatures -- possible indications of water in the form of ice or hydrated minerals. 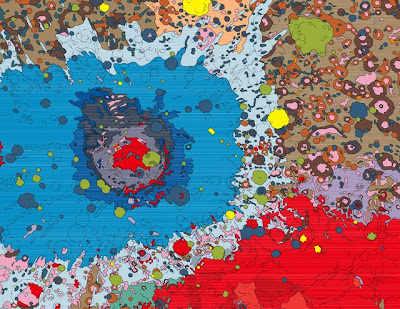 The Moon's Western hemisphere (middle) and darkside (below), with colors correlating to geological materials and phenomena. 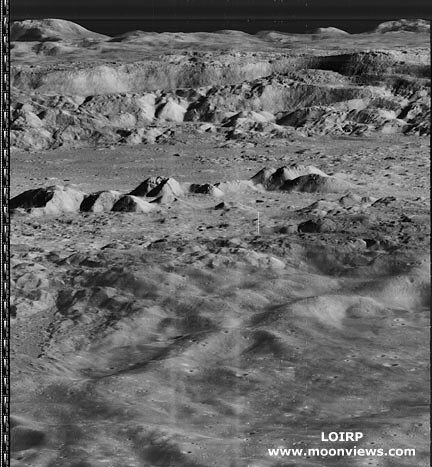 From NASA/JPL: "this mosaic of 53 images was recorded by the Jupiter-bound Galileo spacecraft as it passed near our own large natural satellite in 1992. 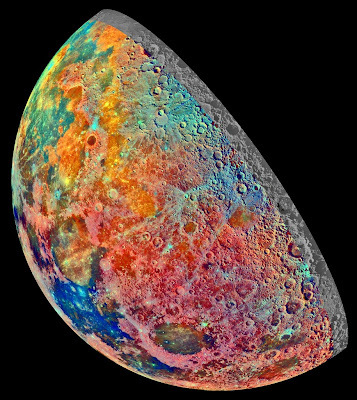 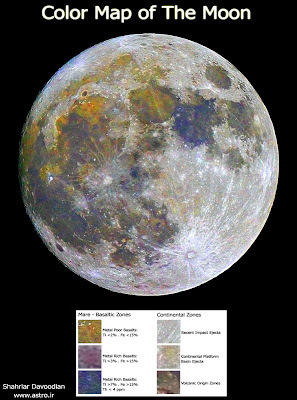 The pictures were recorded through three spectral filters and combined in an exaggerated false-color scheme to explore the composition of the lunar surface as changes in mineral content produce subtle color differences in reflected light." 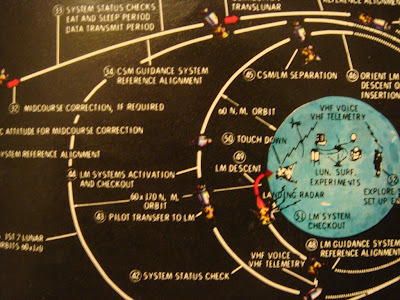 A detailed map of every step of in-flight operation for Apollo 11 (from a 7" record cover). 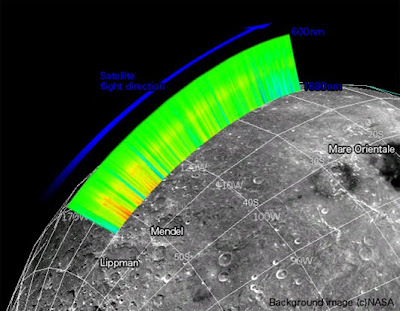 First light observation location of Spectral Profiler. 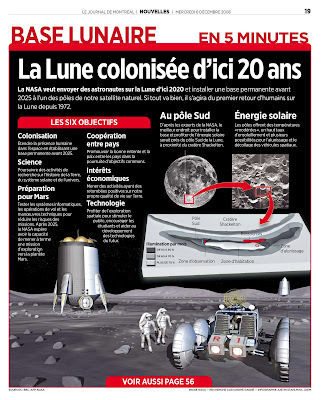 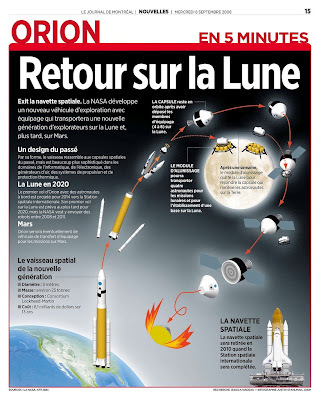 Race to the Moon infographic (sadly no full size views available for free). 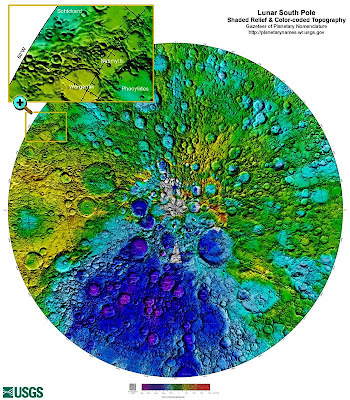 USGS has a great Map-A-Planet feature. 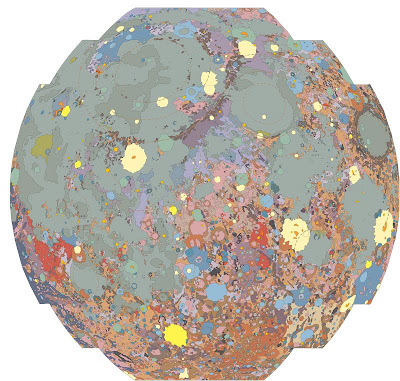 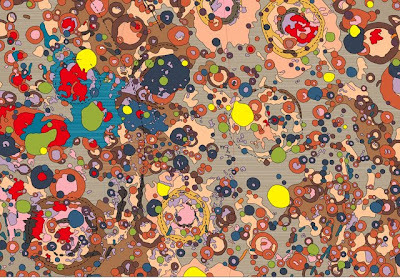 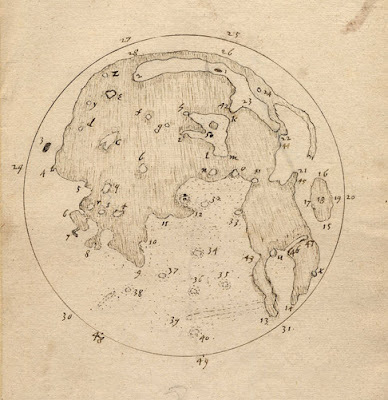 One of the first maps of the Moon. 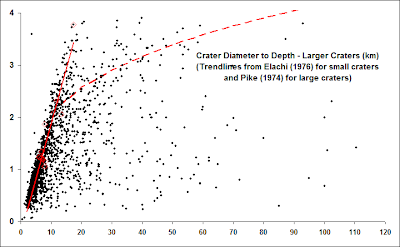 Crater diameter to depth graph. 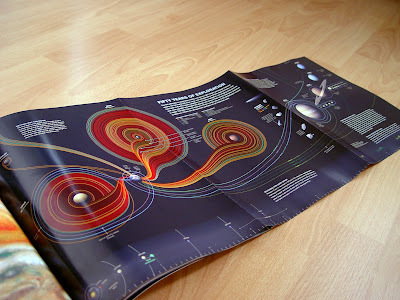 A gorgeous infographic of all robotic expeditions to other planets from National Geographic in 2008. 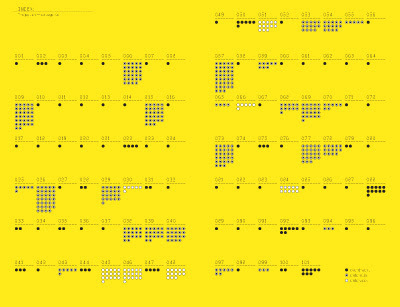 Sadly we can't find the actual graphic online yet. 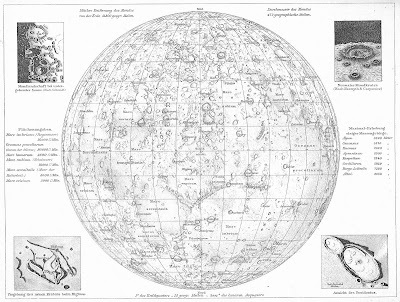 Lunar Atlas: shaded relief from topographic data. 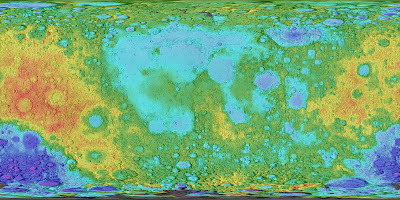 The Lunar Orbiter Image Recovery Project--supported by Google Lunar X PRIZE team Odyssey Moon, among others--is resurrecting and refurbishing beautiful data from NASA's pre-Apollo Lunar Orbiter missions. 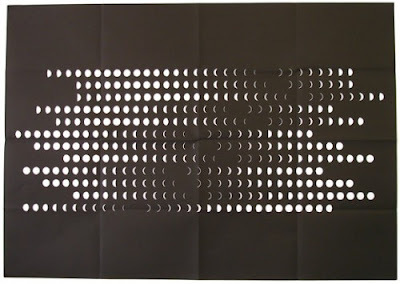 This is just one of many recent examples.